A spot of stealth-luxury from OTHER/Shop here. 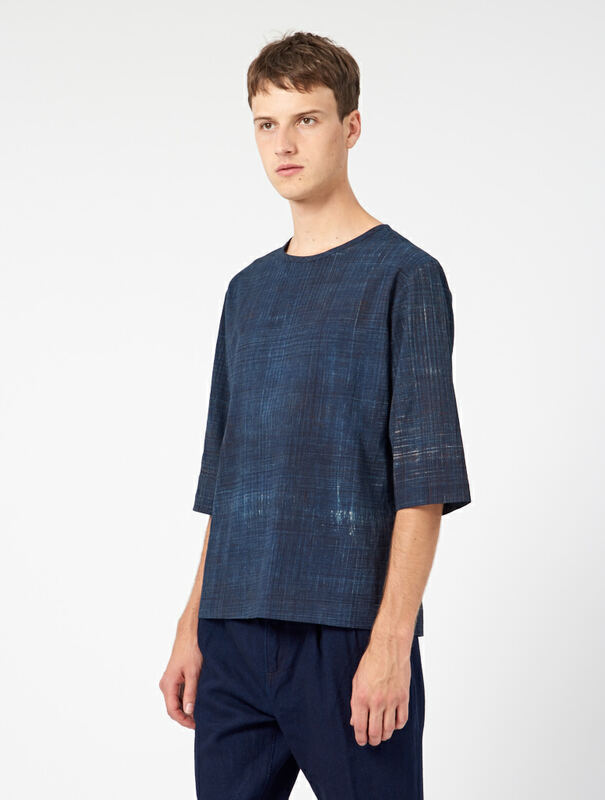 On their site, it’s called a t-shirt, but really it’s a top. Scholars from Cambridge to the CERN Institute, are interrogating the exact different between a ‘tee’ and a’top’ – so far there’s no consensus. But for those not schooled in the scientific, the easiest way to tell the difference is that a ‘top’ will probably cost £50 more than a tee. 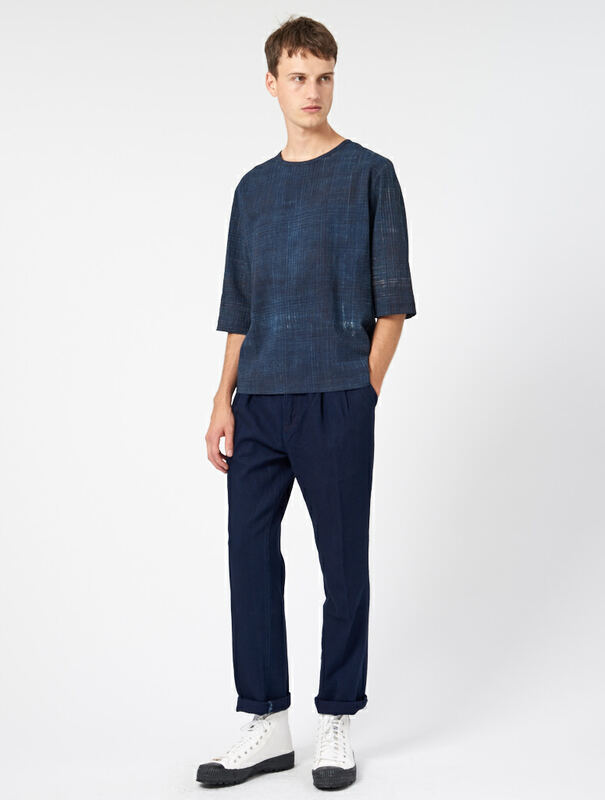 Having said that, this piece self-identifies as a tee; a Chester Indigo Woven Tee to be precise. And it costs a healthy £150. You can see why the experts are so confused. 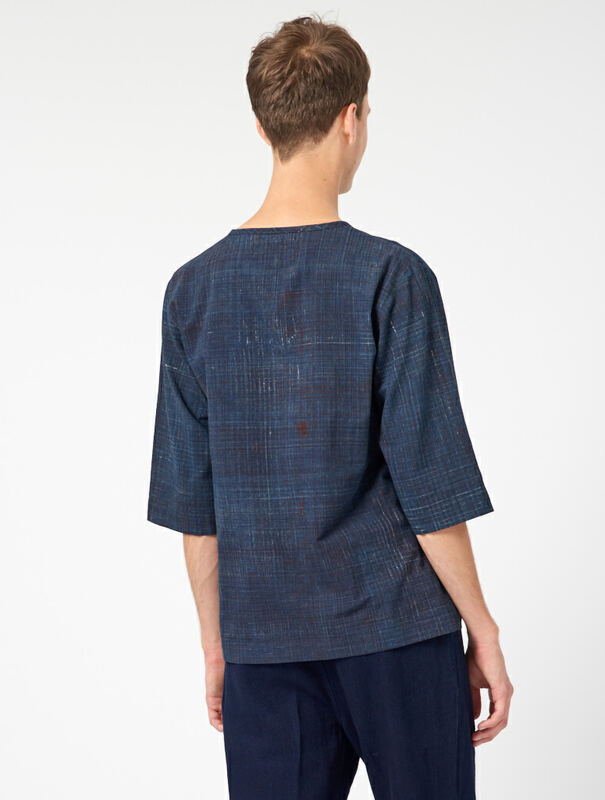 This three quarter sleeved banger is made of indigo cotton with a tight check print. This detail is the result of hand block printing, which in my head at least, involves the repeated dunking and pressing of a bit of wood about the size of an iPad Mini. Although I’m probably being naive – for all I know the fabric is produced in enormous rolls, with a wooden slab the size of Hull. Either way, this ‘teetop’ is desirable. Although climate science tells us it will never be cold again, I would like to imagine this would look strong with a simple, white, long-sleeved t-shirt beneath. Some crisp white would really set off the colour and the demi-sleeves – you wouldn’t need much else. Maybe a necklace, maybe a sun hat. And perhaps a long copper fork, to use to eat your grandparents. When climate change ultimately fries them alive and Brexit turns us all into cannibals.